California-based software company Hortonworks, which specialises in enterprise-ready open data platforms and modern data applications, is increasingly managing big data for the global automotive industry in the run-up to the development of connected, electric and autonomous vehicles. Hortonworks’ Singapore-based vice-president and general manager for the APAC region spoke to Autocar Professional about the importance of big data management and data analytics in what are becoming increasingly complex new product development processes. As a data management company, how different are Hortonworks offerings to the automotive industry? Hortonworks has two platforms for the automotive industry – the Hortonworks Data Platform (HDP) and the Hortonworks Data Flow (HDF). 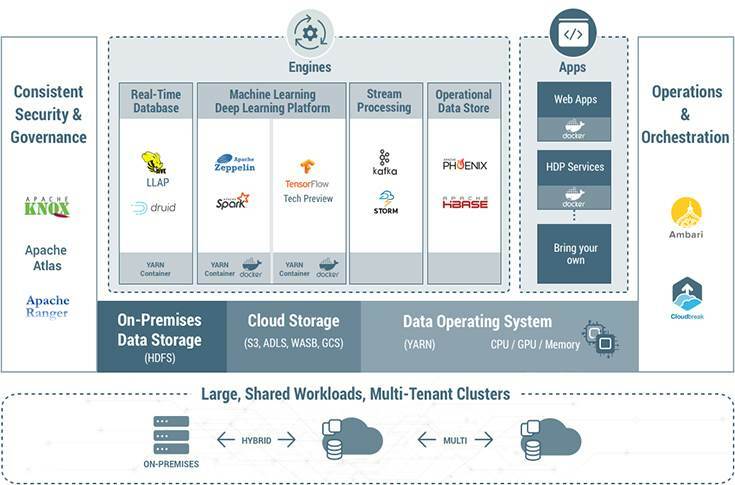 While the HDP addresses the complete needs of data-at-rest, powers real-time customer data-driven applications and delivers robust big data analytics that accelerate decision making and innovation, the HDF collects, curates, analyses and acts on data in real-time, on-premises or in the cloud. 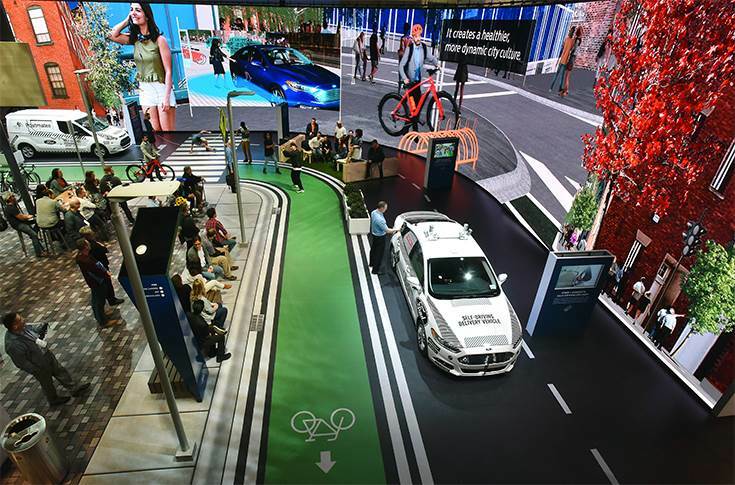 At CES 2018, Ford captured the evolution of urban mobility utilising the living street as a way to demonstrate how smart technologies, vehicles and services will operate in a smart world. Through these two open source platforms, we are powering the connected car ecosystem with prognostics solutions and real-time, Internet of Things (IoT) data and insights. How critical is the management of big data in lieu of the several incoming technology megatrends such as connectivity, autonomous vehicles, electrification of vehicles, navigation and information delivery? Big data management is at the heart of development of the next generation of vehicles – be it passenger or commercial vehicles. All vehicles, whether they are connected, autonomous or electric, all intend to become smart by learning from (customer) usage patterns and threat detection made possible through sensors and other big data technologies. Can you provide some examples on how Hortonworks manages and filters big data and delivers meaningful information to automakers? Hortonworks is helping Ford Motor Company to transition to a car and mobility company by introducing IoT-enabled services in the future. Hortonworks platforms help to ingest connected vehicle data for analytics. Ford can now understand customer vehicle usage patterns, which act as a foundation for future IoT-enabled services. Another example is of Nissan Motor Company, wherein Hortonworks built their data lake infrastructure and to collect all data from across the businesses, including the driving data and the quality data. Nissan can now use big data in applications such as the analysis of battery usage in electric vehicles and quality management that requires cross-functional data analysis. Nissan Motor’s deployment is one of the most sophisticated global customer deployments of HDP among those who have built data lakes. Hortonworks will continue to support Nissan Motor as a strategic partner to utilise data, including that from the Internet of Things, to further build its data lake. What, according to you, are the largest sources of generating big data in the automotive industry? like road conditions, weather, traffic and other problems in real-time. These sensors are generating petabytes of data that can be used for analytics and improvement of algorithms that autonomous cars use and to improve manufacturing. How are the global vehicle manufacturers placed in terms of understanding the importance and relevance of effective big data management? Every major automaker is looking at the future of vehicles through the lens of big data as they move towards the futuristic modes of urban mobility, primarily the autonomous and self-driving vehicles. Automakers are describing every operating condition a vehicle may face to teach these autonomous vehicles how to drive in a safe and efficient manner. All of this is possible only through an understanding of the importance of effective big data management. This trend is coming in the mid- to long-term. However, in the short term, some automakers have already introduced advanced driver assistance systems (ADAS) in conventional cars and commercial vehicles, which are again being perfected through the effective use of big data analytics made possible through the data collected from the sensors. Is the usage of big data management tools largely restricted to vehicle manufacturers or are auto component suppliers also beginning to understand and use these tools in their product development processes? Globally, large auto component suppliers have also begun to use big data technologies in their product development. For instance, Hortonworks recently helped a major automotive OEM to set up its R&D data lake. This OEM was experiencing significant difficulties and costs associated with storing and processing huge volumes of video, radar and lidar files within legacy network attached storage system. This data was necessary for development of the OEM’s autonomous vehicle machine learning algorithms. Hortonworks provided the foundation for autonomous driving research. What is your perspective on IT and software firms gaining ground in the automotive industry? Companies such as Google, Uber and others are working on self-driving cars. How do automakers take them on? Machines can learn in a way just like humans through data (experiences in case of humans) using algorithms. Further, several applications need to be developed for the self-driving or the autonomous vehicles. The technology companies come into the picture here. Ultimately, technology and automotive companies will join hands once they cross the pilot and reach commercial development stage. Who are Hortonworks' current customers in the automotive domain? Hortonworks has worked with most of the major automotive manufacturers globally and can specifically mention Mitsubishi Fuso, Nissan Motor Company (Nissan, Infiniti, and Datsun brands) and Ford Motor Company. What is your projection around the relevance of big data on or from the automotive domain? According to estimates, in 2017, US$ 2.8 billion (Rs 19,217 crore) was spent on the big data hardware, software and professional services by the automotive industry and is projected to grow to US$ 4 billion (Rs 27,454 crore) by 2020.